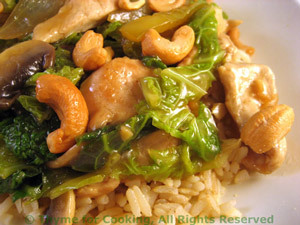 Stir-Fried Turkey with Cabbage and Cashews, Weekly Menu Planner. Bok Choy is a common ingredient in stir-fries; Savoy cabbage is a good substitute. Cashews are optional, but I love them!